A very Merry Christmas and Happy New Year to all our blog visitors! We've got family visiting and we're bringing them to the trailer, but we're busy having fun and not much time left to blog or post pictures. 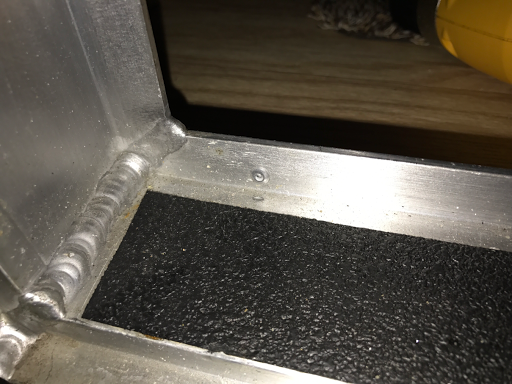 So my first experiment trying to rivet something was a bust. The cheap gun I bought at Amazon was not grabbing the rivets, and I decided to take it apart. Note to self - cheap rivet guns are not adjustable. Apparently the spring was not seated right, and once I reseated it the gun started grabbing the rivets, but I lost a small part that held the gun together. I was still able to rivet some, but the size rivets that came with the gun were too small. So I learned something new. The rivets have a "grip" length, which is essentially how long they are, and they come in different sizes. What size do I need? I have no idea. So I went to Lowes intending on buying some regular screws to get this over with. An attendant asked me if I needed help, and I said "yes, where do you have your rivets?" Not sure why I did that. So I found a new rivet gun. Still cheap ($20 instead of $12) but it did did not include any rivets. 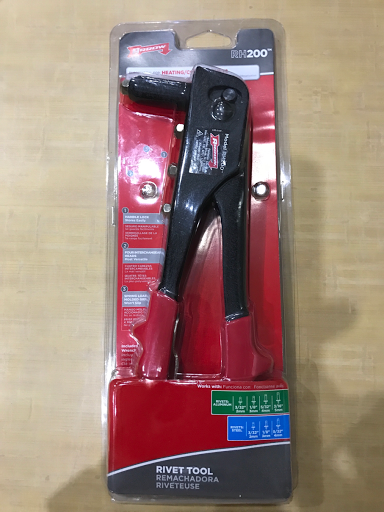 There was a cheap variety pack with three grip lengths - 1/8", 1/4" and 1/2". They were all 1/8" diameter. The diameter didn't bother me as much, as I could make the hole bigger if I need to, but I think 1/8" is fine. Now I'm a riveting master. 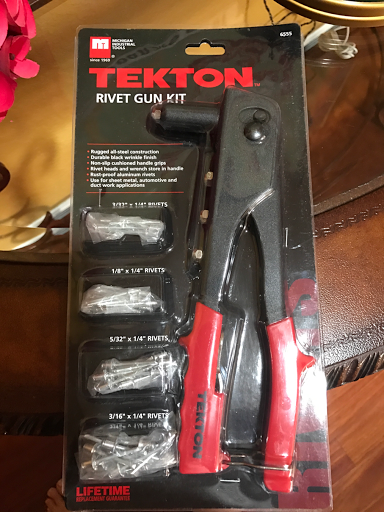 I bought my very own rivet gun kit to make a small repair this weekend. $12 at Amazon. 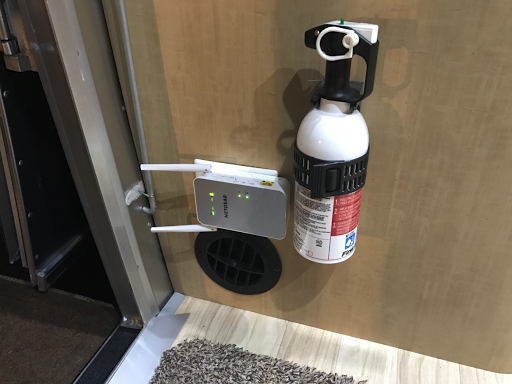 As part of my Airstream security measures, I've added a really good trailer hitch lock, but I felt that a GPS locator would also be a good addition. 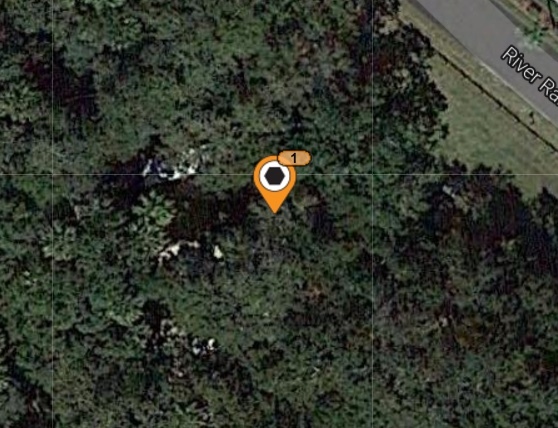 Enter SPOT Trace. 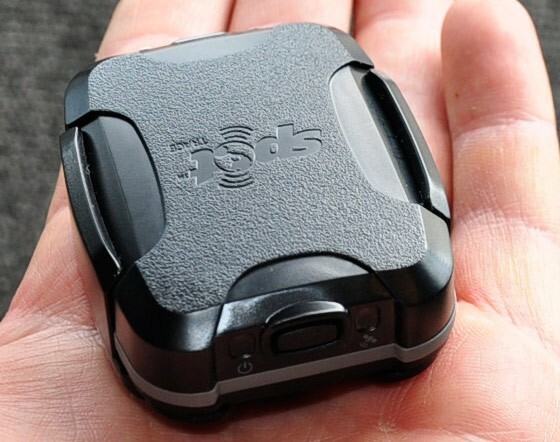 I got this tiny little GPS locator for $50 in a Black Friday deal. And for an additional $99 per year I get notified via email anytime my Airstream moves. I can even log onto a website and see where it's at. Me like. The TV in the bedroom was just too low on the wall. I had to move it up. I was a bit nervous having to drill new holes on my wall. But I worked up the courage and did it. A little wood filler and the old holes disappeared. Now he TV is in a much more comfortable viewing angle. 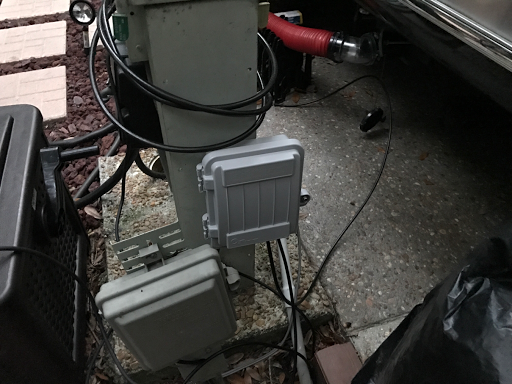 I added a couple of junction boxes to the TV power and cable connections to protect them from the elements. 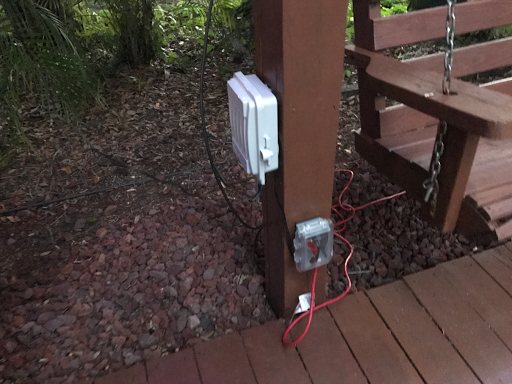 We use aVerizon Jetpack for internet connectivity, but sometimes the wifi signal is not strong enough to cover our RV pad. 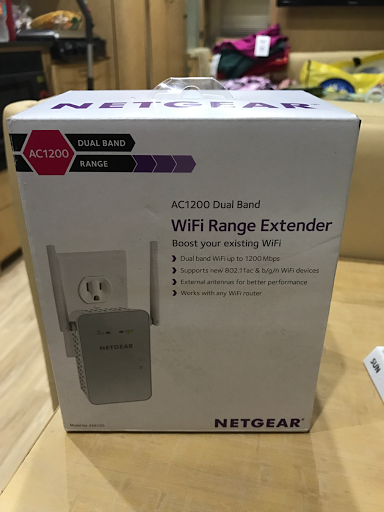 So we got a Netgear AC1200 range extender. Problem solved. Update: I'm returning it. It didn't work. I went through the setup several times. It works on and off. Nothing I can do to troubleshoot that. So it's going back. We missed going to the Airstream this past weekend. The second weekend we've missed since we got the Airstream. We just had other plans. But we are on deck for next weekend. 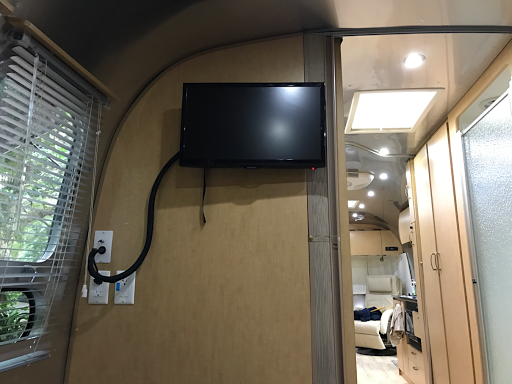 I've got some extra work to do on the TV install, and we got a Spot Trace GPS tracker that I have to hide somewhere in the Airstream. Exciting!